The new version of Chrome OS will be tailored specifically to business users. 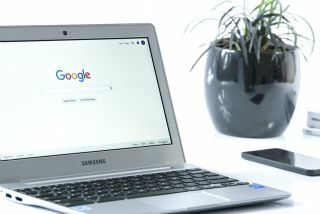 Google has announced that it will soon be bringing its popular desktop operating system to the Enterprise as more businesses have opted to use Chromebooks and other Chrome OS devices due to their affordability and increased security. When Chrome OS first launched in 2009, its goal was to transform the way users interact with their computers by creating a simple, fast and secure operating system that took advantage of how connected society has become. Google quickly established a foothold in the education market as its Chromebooks were much cheaper than competing devices running Windows and now the company has set its sight on businesses by adding new security features and management options. A Chrome Enterprise license will include a number of additional features including access to enterprise app store fronts, 24/7 support, deep security controls and cloud integration. This new version of Chrome OS will also be fully integrated with Vmware's Workspace ONE and Microsoft Active Directory. Unlike a regular license for Google's desktop OS, a license for the enterprise edition will cost $50 a year per device but this is a small price to pay given the extras that the company has included along with the on demand customer support. For those interested in learning more about Chrome Enterprise, Google will be hosting a webinar with a live Q&A on August 23 and the company is currently accepting registrations.